Before any contract or agreement is made in a business partnership, a partnership proposal is drafted to determine the feasibility of this particular agreement samples between companies. 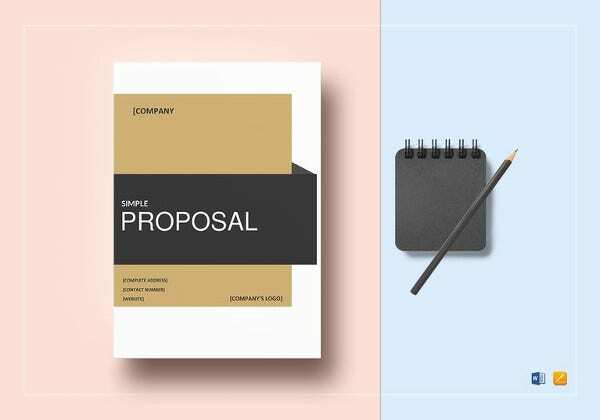 A partnership proposal is similar to an event proposal as both types of agreements determine a certain exchange between two (or more) entities. What differs is that the partnership proposal is not limited to the internal aspects but also has the need for external information. Writing a partnership proposal entails extensive research just as the grant proposal writing process is conducted. 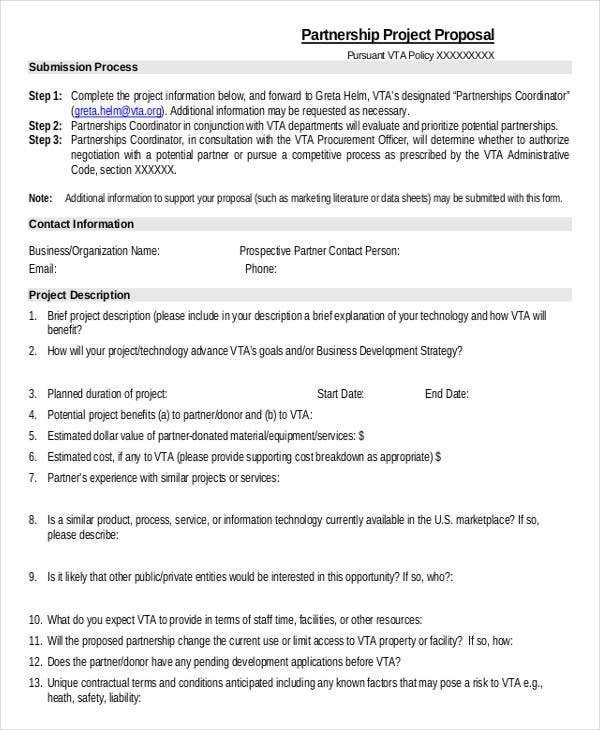 The following partnership proposal sample templates provide the needed information and the outline of different types of partnership proposal. Identify common ground. You must be able to determine the common interests and core values your business and your potential partner’s business in order to establish a common ground applicable for a business partnership. Stress clearly the advantages. 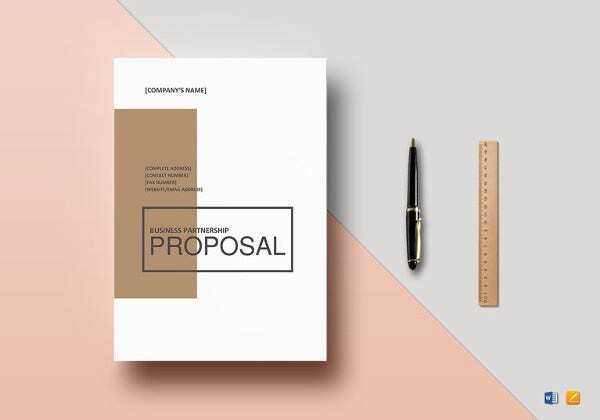 As shown on the bid proposal template, in order to be an effective bid, benefits that the potential customer would gain if they approve of the bid proposal is similarly applied to a partnership proposal for your potential business partner. State the objectives of the partnership. 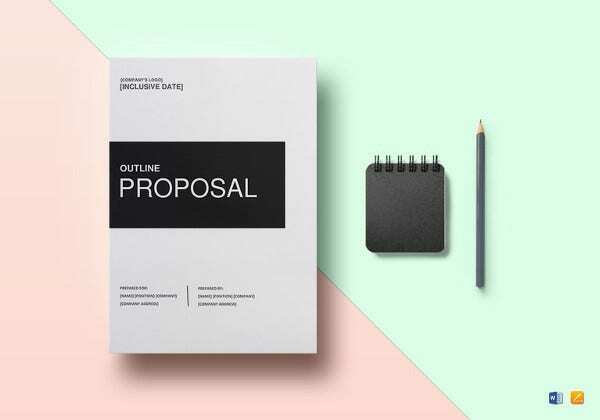 As evident on any proposal like the event proposal templates on this website, you should not overlook outlining the goals and the objectives of the partnership as incorporated and represented on the partnership proposal. 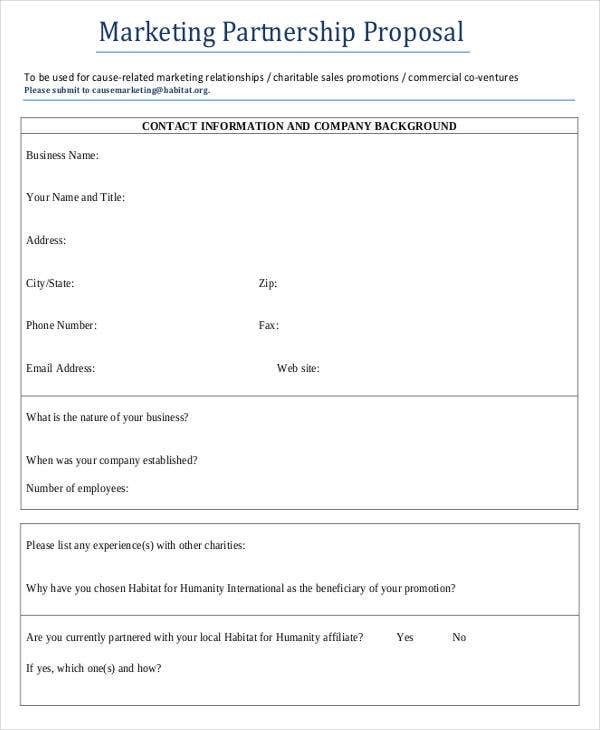 Indicate the terms and conditions. 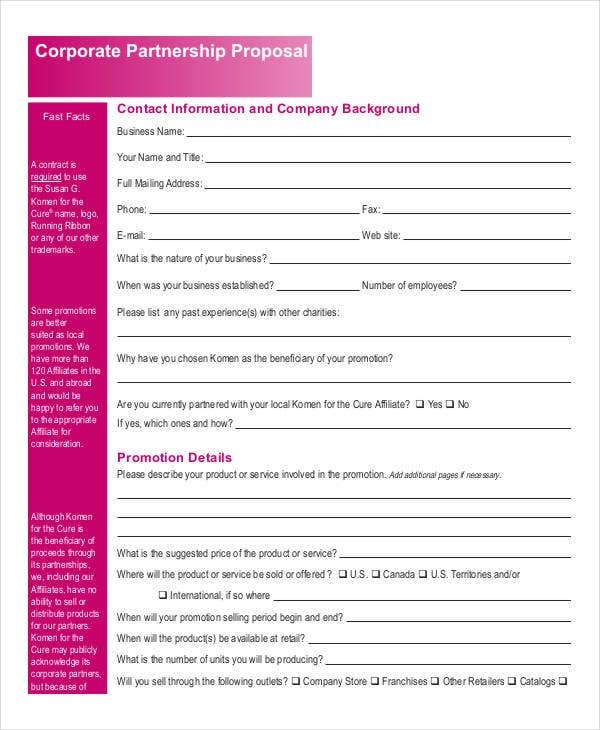 There might terms and conditions you can stress out in advance which would make your partnership easy to handle and manage especially in terms of cancellation, non-competition, and confidentiality related stipulations. 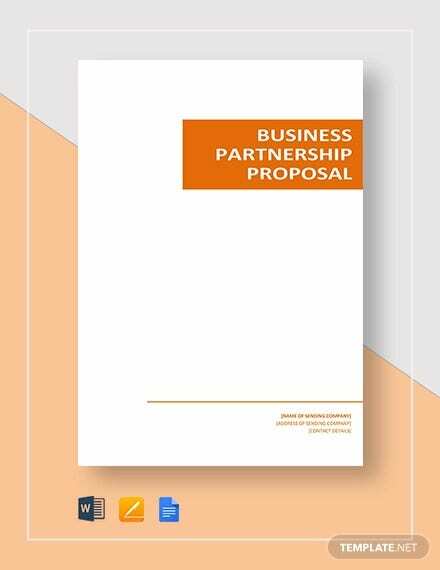 Business Project Partnership Proposal – The usual partnership proposals are devised for the purpose of making a project. 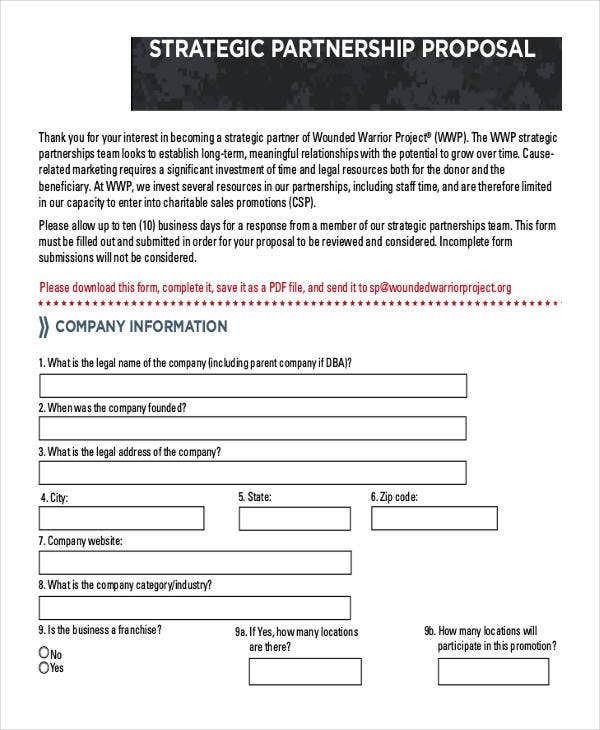 In order for the project to be completed, companies must go into a partnership agreement in which they agree to contribute the expertise of their businesses. 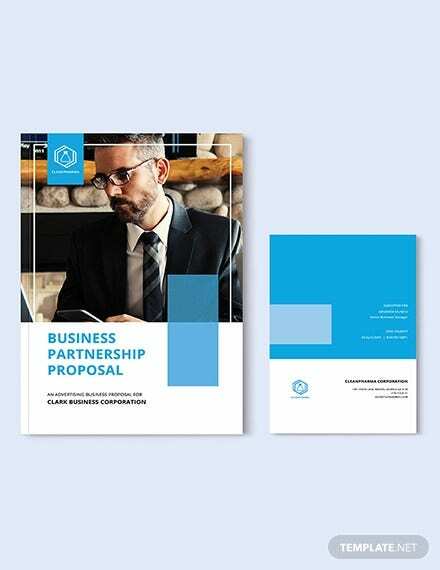 Media Partnership Proposal – A technical proposal template may be included in this type of proposal template as it describes the usage of various media such as advertisements as shown on the sample marketing partnership proposal template. 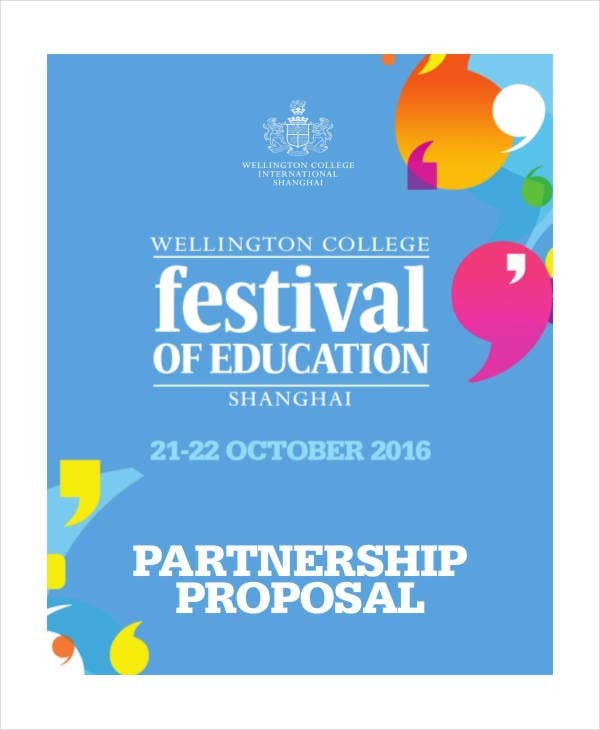 Event Partnership Proposal – This template shows how an event is created with the collaboration of the businesses. 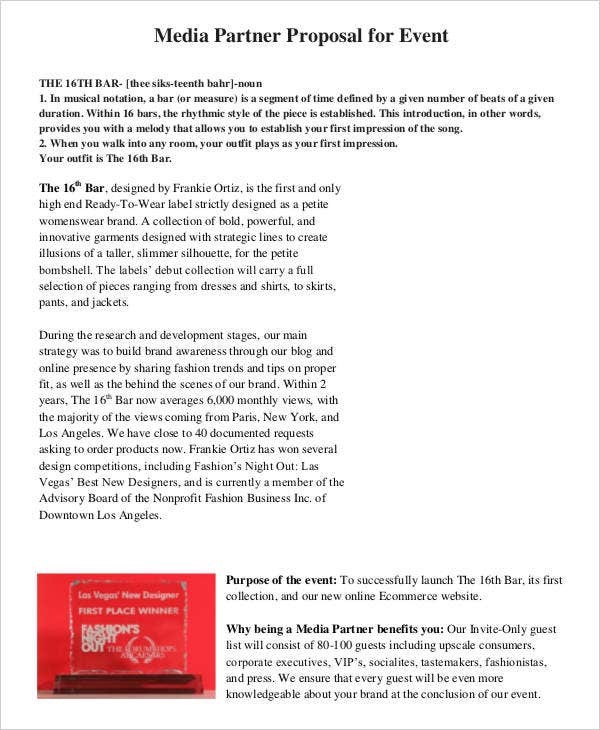 Most of these events showcase the involved company’s products or services. 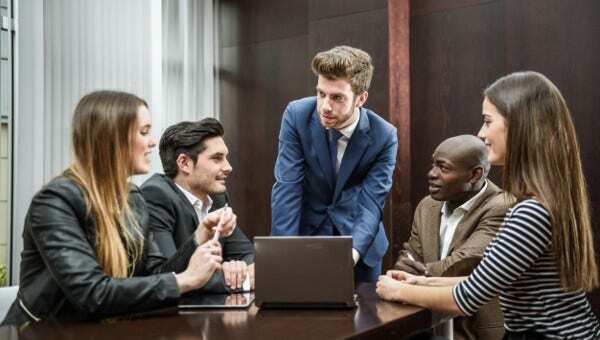 Partnership proposals aim to impress and to convince the potential business partner into creating a business partnership that would aid in promoting the company aside from gaining the returns of investment of the partnership. 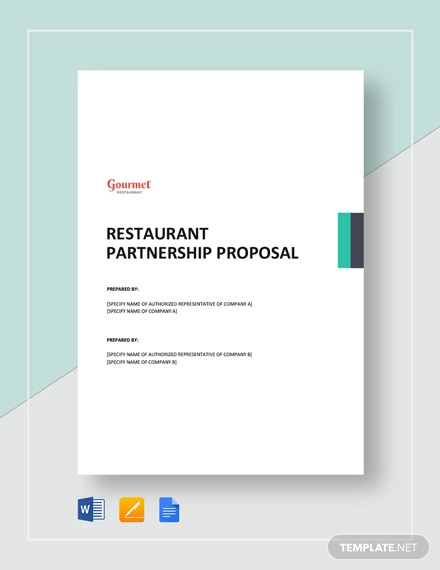 Preparing this proposal would entail the aid of these partnership proposal templates in ensuring that the proposal you are making is done effectively.